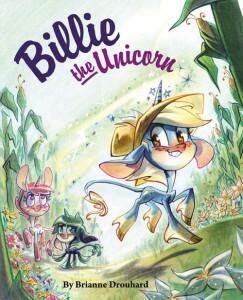 Speaking of Immedium, they’re also the home of Billie the Unicorn, written and illustrated by Brianne Drouhard. 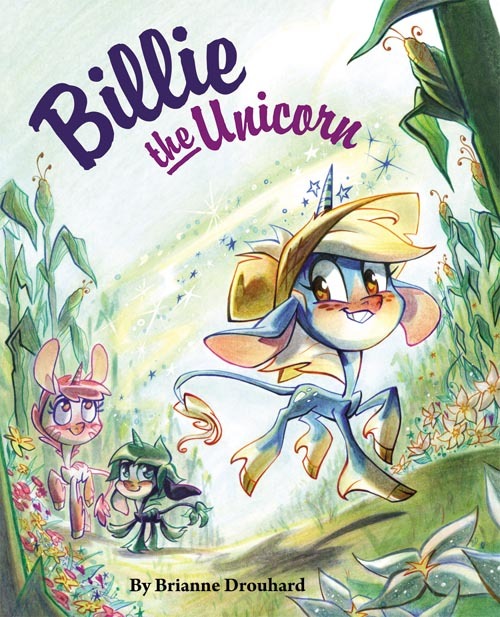 “The young unicorn Billie seeks adventure, so her forest cousins show her how to grow delightful flowers. But the legend of a castle which holds the most beautiful garden lures her away! Will Billie discover that friendship matters the most?” The publisher also continues: “Colorful marker illustrations of expressive characters, upbeat storytelling, and a positive message of seeking your bliss will charm kids who enjoy animation and adults who appreciate great character design.” You can visit Billie’s very own web site to find out more, buy your own copy of the book , and even check out the Billie the Unicorn interactive story app for the iPad and iPhone.